in an attempt to get people to buy a Ford Anglia. 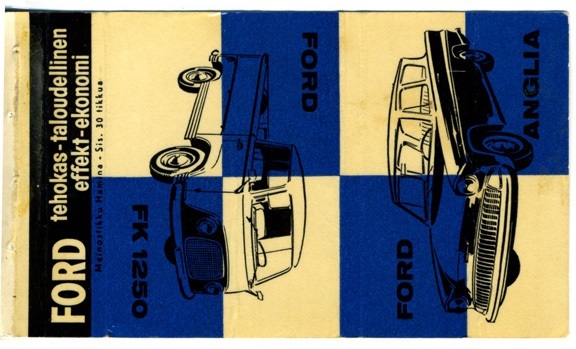 and the Ford FK 1250.
with the slogan "Anglia for the young and the young at heart". 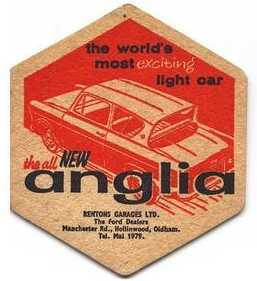 Give-away publicity match book advertising the new Ford Anglia. 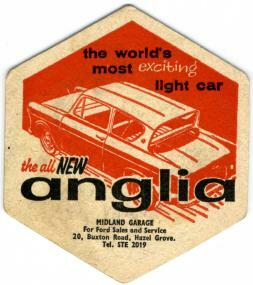 Give-away publicity beermats that were printed with the name of the local Ford dealer.